In the wake of the vampire mania that is sweeping the nation, I thought it would be timely to post a list of top 12 Mythical Monsters. After all, there is much more than just the vampire out there to scare and excite us. The source and inspiration for this list is my 12-year old son (which is why there are 12). Depending on where you live, this mythical creature goes by several names, but essentially they all represent the same giant woodland/mountain personna. he has been faked so many times it is almost as if old Bigfoot has gone into the world of monster-gags. From beer commercials to Harry and the Hendersons and Open Season, we love Bigfoot and his international� cousins Yeti and Sasquatch because he has provided us with so much quality entertainment over the years. 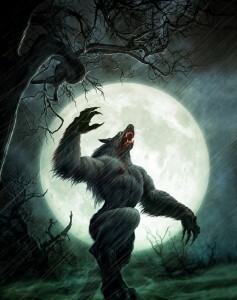 Not all monsters have to be scary, sometimes its just fun to say,�Bigfoot�. 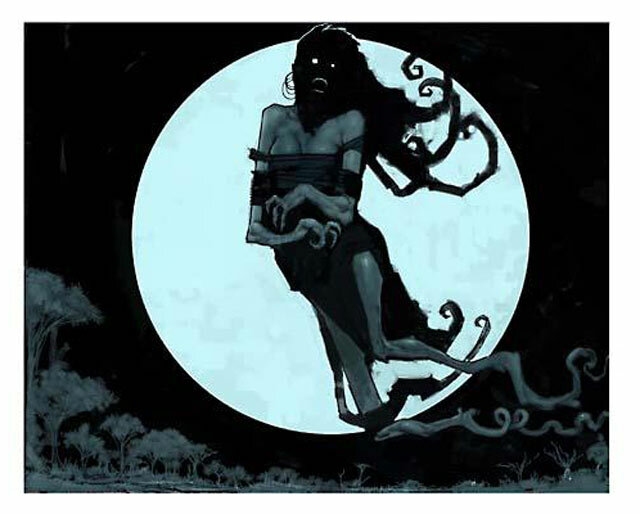 The Banshee, aside from being known for a piercing scream, is an Irish spirit known for being the Omen of death, and having special connections in the spirit world. She is something of a shapeshifter, in that she can appear in many forms, ranging from an ugly old hag to a ravishing beauty, but my favorite is the version where she appears� as a washer-woman, and is seen washing the blood stained clothes or armour of those who are about to die. Talk about a sight that you just don’t want to see while heading down the trail. Their piercing scream is a warning that someone is about to be taken by Death, but I imagine that if your eardrums are being pierced by their shrieking and you are watching someone wash the blood from your own clothes, you are probably about ready to call it a day by then anyway. 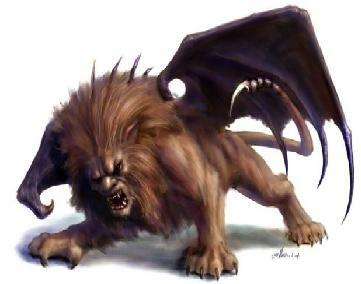 The Manticore was a fierce looking creature, with the body of a red lion, the face of a blue-eyed human and a mouth with three rows of sharp pointy teeth. And if that wasn’t enough, the Manticore?s tail had a scorpion-like stinger with poisoned spines that could be shot, like arrows in any direction. Despite the scary looks, the beast was attributed with having a musical voice that was the mixture of pipes and a trumpet. The earliest accounts seem to be from Persian legend. The name itself is from the Old Persian martikhoras meaning ‘man-eater’. The earliest accounts of the existence of the manticore come from the Persian courts in the 5th century BC, documented by Ctesias, a Greek physician at the Persian court. Greek and Roman authors (Aristotle, Pliny) described the beast the same way the Persians had. The manticore is reputed to roam in the jungles, and is known to have an appetite for humans. Like its cousin, the Sphinx, it would often challenge its prey with riddles before killing. And don?t think that the beast is a thing of the past; it has made a recent appearance in Harry Potter and the Prisoner of Azkaban when Harry, Ron, and Hermione are searching for cases of maurading beasts to help Buckbeak the hippogriff. 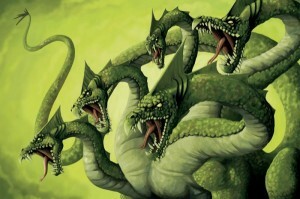 The Hydra was one of the more terrifying mythical monsters of ancient Greece, the offspring of Echidna (half maiden – half serpent), and Typhon (had 100 heads), according to legend. The Hydra had the body of a serpent and many heads (the number of heads deviates from five up to one hundred there are many versions but generally nine is accepted as standard), and if any of the heads were severed another would grow in its place. And just to make sure that the beast had the full advantage, the stench from the Hydra’s breath was enough to kill man or beast. Talk about wicked morning breath! The legend of Shapeshifters has existed virtually since the dawn of modern civilization, and the myths of creatures feature several monsters that change shape� in certain situations. 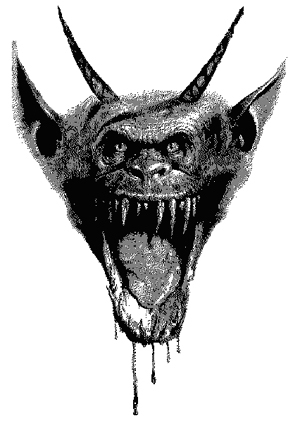 The classic and best known examples are certainly the vampire that can turn into� bat and the werewolf that transforms into the beast when the moon is full. However, the shapeshifting legend also appears in other genres, such as when the beautiful princess kisses the ulgy toad, who then turns into the handsome prince of her dreams, or when Pinocchio transforms from a wooden puppet into a real boy. There is no shortage of shapeshifters� in comic books, where villains and heros are given equal time with these abilities, a power that hugely adds to the appeal of comics for all ages. Ben Grimm and Johnny Flame of the Fantastic Four turning into the Thing and The Human Torch, The Sandman in the Spiderman series, even Superman, since his Clark Kent disguise makes him appear to others as someone else. The rich history of shapeshifting covers ancient times through the classical periods of Greek and Persian empires, Norse and medieval European ages and has deep roots in Asian and Euro-Asian civilizations. Certainly modern times have seen incredible popularity of shapeshifters in books, television shows, music (videos), video games and toys (think of how big transformers have been for 2 decades!). Shapeshifters have a foot in the real world as well, with many species of animals and plants being able to change characteristics – such as colour or shape – for defensive purposes. I am adding a link here for further reading, since it is a fascinating and lengthy topic, far too much for this posting. Medusa, originally a beautiful young woman whose crowning glory was her magnificent long hair, was desired and courted by many suitors. Yet before she was married, Poseidon (Neptune) found her worshipping in the temple of Athena and ravished her on the spot. 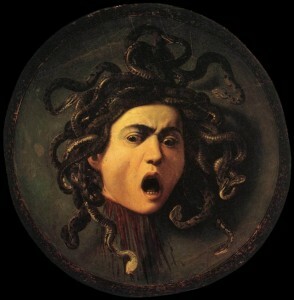 Athena was outraged at her sacred temple being violated, and punished Medusa by turning her beautiful tresses into snakes and giving her the destructive power to turn anyone who looked directly at her into stone. She was eventually defeated by Perseus, who slew Medusa by looking at her harmless reflection in the mirror instead of directly at her to prevent being turned into stone. When Perseus severed Medusa’s head from her neck, as she was pregnant with an Neptune?s child, an offspring sprang forth: the winged horse Pegasus. Through her family tree, Medusa was related to Typhon and Echidna, also on this list, through her Gorgon bloodline, where all ladies in the family had the �serpents for hair� gene. Admittedly, many men may be familiar with the look that turns you into stone, but a headfull of snakes just has to take you by surprise. Kraken are one of the very cool creatures on this list, because they have been the stuff of legend for centuries, yet recent discoveries show that the Kraken, or giant squid, is in fact be a real animal. To the ancient mariners and seamen the monster was a massive creature of the sea, with many arms, legs and the power of a thunderstorm. It was able to capsize boats and throw its arms around the midsections as if the large vessels were child’s toys. Sailing legends describe a mass large enough to be mistaken for a small island, yet when they came close, arms would reach as high as the top of the main mast, sending the crew into a mad panic. Scientists have since discovered giant squid, but only recently in the 20th century, and state that the animals live in such deep waters in the farthest reaches of the oceans, that they an actual sighting is highly rare.� Video footage of a giant squid was aired on CNN in 2008, while a live specimen was caught for the first time in Japan. The baby caught in Japan was 3.5 meters long, with estimates ofreaching 25 meters when full grown. 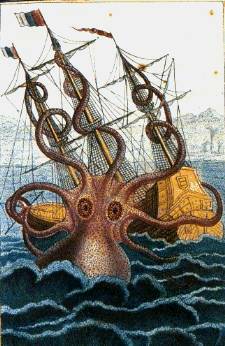 Given the power that these creatures have – they have been known to overtake whales and large sharks – it is easily imaginable that a full grown Kraken could severely damage or capsize a 15th century boat. 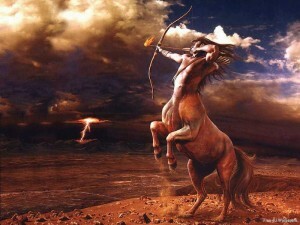 Half human, half horse, and all myth – the centaur is one of the favorites of the legendary mythical creatures. It has appeared in countless stories, fables and fairy tales, it is a prominent feature of popular fiction such as the Narnia Stories as faithful servants of the lion King Aslan, Harry Potter where they live in the Forbidden Forest close to Hogwarts and held a place of respect in the Roman Empire. Contrary to many other mythical creatures, the Centaur is a �good guy�, often represented as wise, thoughtful, self-sacrificing, artistic and creative, siding with good over evil. They date from the earliest times of the Greek age, and are thought to have been mythicised by tribes who were not familiar with horses. When they first saw men riding a horse, it appeared to their unaccustomed eyes as if there was a half man-half animal approaching, and so came to know the more advanced societies in this light. Second perhaps only to the vampire in popularity, the dragon is definitely one of the tops on the list of mythological creatures. It has been said that the Lion may be the king of the jungle but the dragon is the king of mythology. It is literally everywhere, from ancient tales of monsters to modern fantasy stories,, form album covers and tattoos to ancient artifacts and classic paintings. The dragon has been so popularized in modern society that its roots have been somewhat lost in the shuffle, and many theories abound. 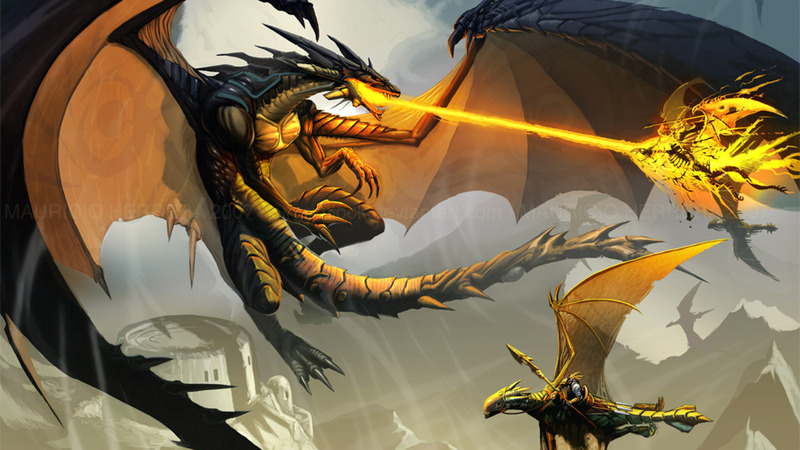 Most �dragonoligists� would agree that the creatures have wings, claws, scales and breathe fire. From this point on, however, there is much debate. Some say that dragons originated in water as sea serpents and evolved to the land (I suppose that makes the traditional dragon and the sea serpent cousins, of sorts). Some would say that the dragon is inherently evil, while other cultures, including many Asian interpretations of the dragon, point to its bravery and virtues as protector. There are some famous dragons listed here if you are interested in seeing more, but suffice it to say, we will never grow tired of this mythological legend, and it will be around as long as tales are told from one generation to the next. Plus they fly and breathe fire – what is cooler than that ? This one-eyed giant was known as the master Smith/forger and worked underground forging mammoth rock and mason creations. In fact, it was said that the volcanoes were the fires of their forge. Greek legend has it that it was the god Uranus who imprisoned them, while it was Zeus who released three Cyclopes (plural term) from their underground existence (Brontes, Steropes, and Arges) to enlist their support in fighting the Titans. The Cyclopes were so grateful to Zeuss for releasing them from their subterranean captivity that they smithed thunderbolts for him, which he used as weapons against the Titans. Not stopping at Zeuss’ thunderbolt, in the development of supreme weaponry for the Gods, the Cyclopes also created Poseidon’s trident, Artemis’s bow and arrows of moonlight, Apollo’s bow and arrows of sun rays, and Hades’s helmet of darkness that was given to Perseus on his quest to kill Medusa. 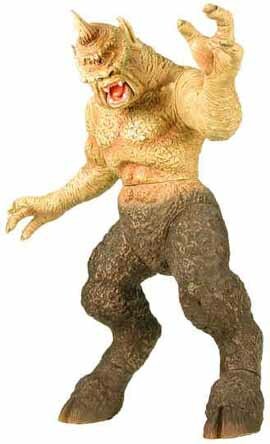 But personally, the best appearance of the Cyclops was in the Sinbad movie – claymation at its best! You just can?t have a mythical creature list without the vampire, the best known and most popular of all monsters. Vampires have been the stuff of legend for hundreds of years, if not longer. Although the exact time when vampires first appeared is not fully agreed on, the first use of the term �vampire� dates back to 1734 (according to the Oxford Dictionary). However, after Austria gained control of northern Serbia and Oltenia in 1718, officials noted the local practice of exhuming bodies and “killing vampires”, after which time these reports, prepared between 1725 and 1732, received widespread publicity and the term was spoken of in wider usage. Another early use of the word is in an Old Russian anti-pagan treatise “Word of Saint Grigoriy,” from the 11th�13th centuries, where pagan worship of upyri is reported. A theory about the etymological origin of the word is supposedly derived from the Gheg Albanian words dhamb (teeth) and pir� (sucking). These vampires of ancient times are not the lovely creatures of our modern era. The charismatic and sophisticated vampire of modern fiction was born in 1819 with the publication of The Vampyre by John Polidori. The story was highly successful and arguably the most influential vampire work of the early 19th century. However, it is Bram Stoker’s 1897 novel Dracula that is remembered as the quintessential vampire novel and which provided the basis of modern vampire fiction. Likely the next generation will talk not about Dracula but about Twilight and the romantic life of the blood-sucker. 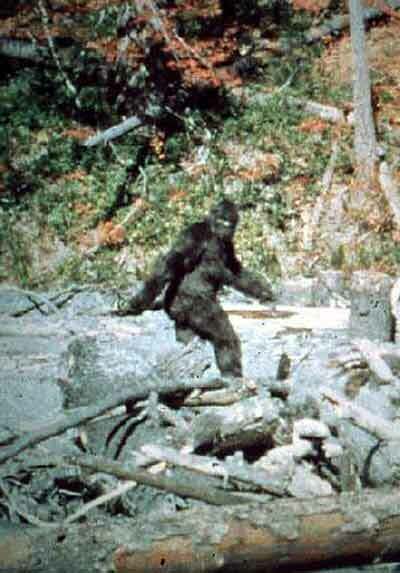 Is Bigfoot Real or phony? For over 4 hundred years, there are actually reporting�s of a man like creature which is completely coated in hair. really interesting – thank you! There is obviously a lot to know about this. I think you made some good points. Keep working ,great job! This website is great. I am gonna put this in my bookmarks before I lose the link, I don�t think I�ll ever find my way back here again otherwise! Hey! Just thought I�d chime in. I really enjoyed your post. Keep up the awesome effort. ???? ?????????? ?? ???? 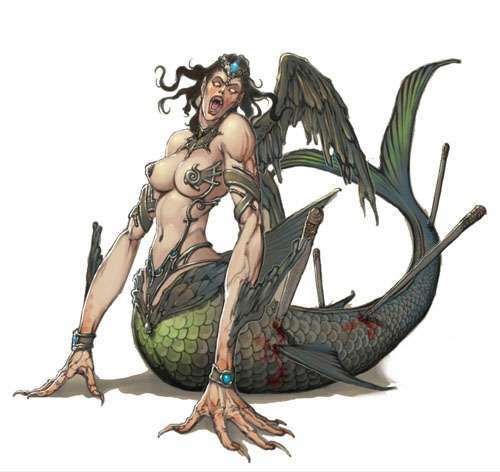 – List o’ 12 Cool Mythical Creatures: Part I ?????? ????? listsoplenty.com ?????? 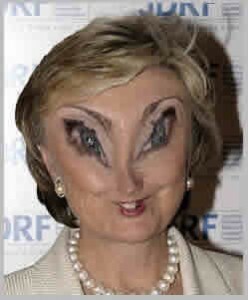 ????????. This is amazing, I don�t know what else to say. Perfect execution of a cool idea! I got a real pleasure reading your posts. Thanks for sharing this great write-up. Very interesting ! I think you have a great page here� today was my first time coming here.. I just happened to find it doing a google search. anyway, good post.. I�ll be bookmarking this page for sure. If i were you, i’d charge people to read off my blog. Its good and it looks like you put a lot of work into this. thx – sent in a donation from your PayPal link. this is really interesting – thanks. Its true growing up vampires used to be my all time fav mythological creature, but in the past years Twilight ruined it for me. No one will ever remember vampires as the gods of blood sucking the pure life out of humans to quench their own thirst and their birth right to feed on our children. But rather see them as sparkly fairys that are all teeny boppers. listsoplenty.com; You saved my day again. you’re the stupid retard on here you ugly piece of trash, hope one of them gets you!! Hi White rabbit – thanks, and absolutely you can link in. I just wanted to leave a quick comment to thank you for your blog! I really liked your blog site!!! Would you care terribly if I put up a return link from my blog site to your web site? Keep up the great work! Well Wishes! nobody: yikes, pretty harsh comment. if i read the intro right, this was the work of a 12 year old, so lighten up! who are you – some kind of literary uber-snob ? harry potter or the Iliad, isnt it just good that kids read, period? This is a stupid list and you should feel bad for making it. Anyone who dosn’t already know of these creatures needs to go back to school and read up on mythology and stop reading trash like Twilight and Harry Potter. I LOVE THIS POST!!! IT IS THE BEST POST EVER!!!!!!!!! !